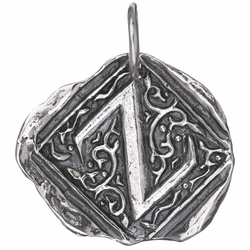 Swirly serif letters make a distinct impression, and look right out of a book of fairytales. 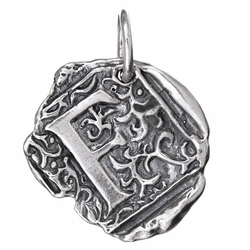 The Square Insignia Charm feature every letter of the alphabet with a distinct old world feel. 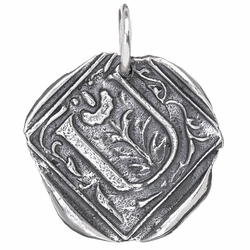 With its beautifully detailed background and wax edges, this charm is beautiful on a large rolo chain.